Destiny plays a great role to shape up legendary status for every successful actor. Egyptian-American actor Rami Malek is one such actor, who has achieved legendary status portraying the epic role of Freddie Mercury in ‘Bohemian Rhapsody’. Having won the Golden Globe Award for ‘Best Actor – Motion Picture Drama’, Malek is a hot contender to win BAFTA in February 2019. Rami Malek has been nominated in the ‘Best Actor’ category for the 72nd British Academy Film Awards, which will be held on the 10th of February 2019. He will be competing for the ‘Best Actor Award’ along with Bradley Cooper ‘A Star Is Born’, Christian Bale ‘Vice’, Steve Coogan ‘Stan & Online’ and Viggo Mortensen ‘Green Book’. The biopic ‘Bohemian Rhapsody’ has been nominated for 7 categories in BAFTA, including ‘Best British Film’. Rami Malek is hogging international limelight with his magnificent performance as Freddie Mercury. It will be interesting to see how he will be adjudged at BAFTA because two weeks later, it will be the Oscars – the dream which every actor aspires to win at least once in life. Rami Malek has indeed excelled in his career success with great aplomb portraying Freddie Mercury in nearly flawless perfection. The biopic, which was released on the 23rd of October 2018, achieved stupendous success earning $743 million worldwide. The film production budget was $50 million. It is the 8th highest-grossing film of the year 2018 worldwide. 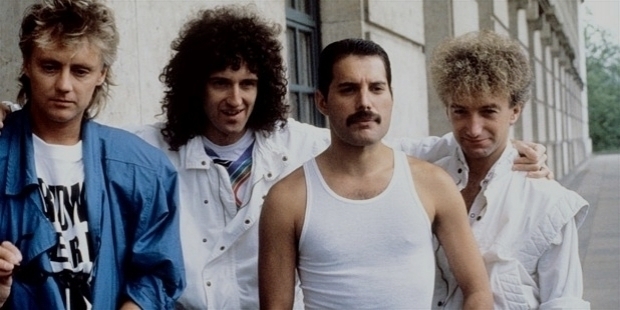 ‘Bohemian Rhapsody’ became the highest-grossing musical biographical film of all-time. 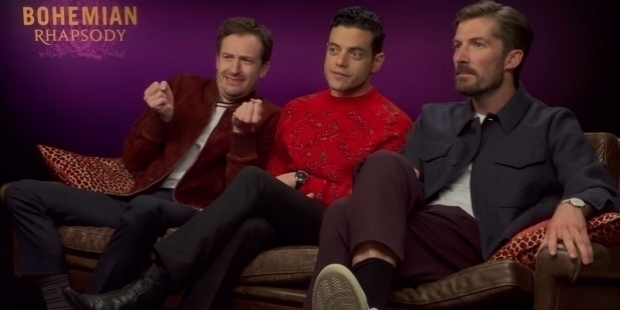 It is interesting to note how Rami Malek worked so hard and dedicatedly to get into Freddie Mercury’s skin. He moved to London to prepare for the role. He was trained to perfect Mercury’s dialect, body language, style and various traits by multiple expert Coaches. Malek took piano and singing lessons. Each day, he used to watch Freddie Mercury’s video for 4 long hours to learn how the rockstar moved on the stage. He watched the 1985 Live Aid Concert for more than 1,500 times. Rami Malek even had to get used to speaking and singing in a set of false teeth to perfect Mercury’s overbite. 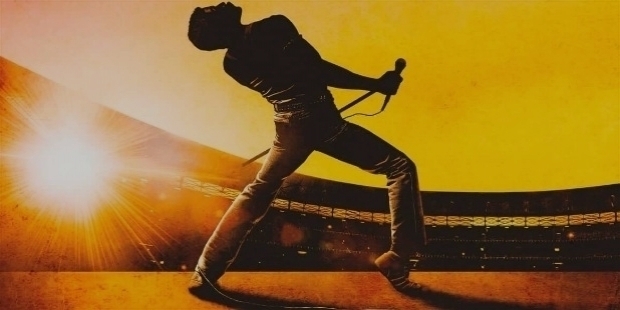 Needless to say, everyone who watched ‘Bohemian Rhapsody’ was amazed to see Queen’s rockstar come alive once again, even though it is a movie. Malek was critically acclaimed for his amazing performance. 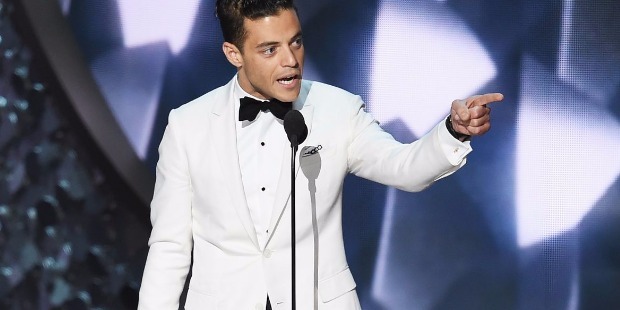 Apart from the Golden Globe Award, Rami Malek also won the ‘Breakthrough Performance Award’ at the 30th Palm Springs International Film Festival. 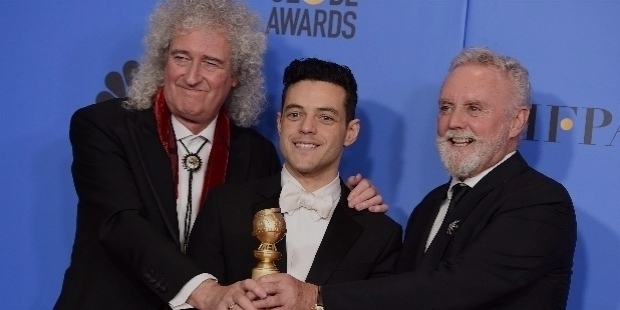 One can imagine when Queen’s guitarist Brian May enthused, “Malek’s performance was so accurate that we forgot sometimes, he was Rami.” This was indeed a great compliment for Malek, who gave his heart and soul for the role. Rami Said Malek was born on the 12th of May 1981 in Los Angeles, California. His twin brother Sami was born four minutes later. Father Said Malek used to work in Cairo as a tour guide. Once in America, he worked selling insurance. Mother Nelly Abdel-Malek works as an accountant. Rami’s parents inculcated Egyptian roots in their children’s upbringing. Rami’s elder sister Yasmine works as an ER doctor. During his growing up years, Rami Malek was very fond of creating characters and did their voices, whenever he used to get time. He graduated from Notre Dame High School. He was talented in dramatic interpretation, which was noticed by his debate teacher. Rami’s parents wanted him to become a lawyer instead destiny chose him to be an actor. Rami went on to study theatre from the University of Evansville in Indiana and graduated with a BFA in 2003. Rami Malek moved to New York after his graduation. He connected well with writers and directors and became friends with many. The young blood used to perform their own-written plays around New York City. As destiny would take shape, Rami met Casting Director Mali Finn during one of his visits with family in Los Angeles. He moved back with his parents in LA on Mali’s advice. 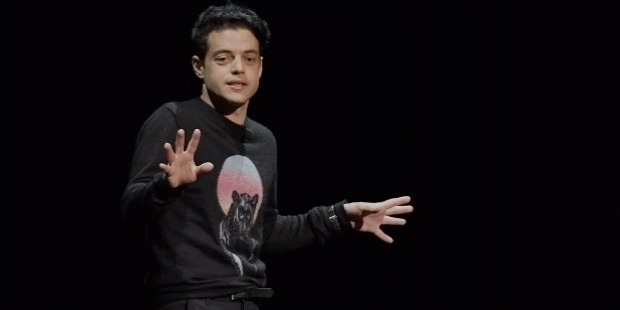 During his early struggle to make end meets, Rami worked as a pizza delivery boy making falafel and shawarma sandwiches in a Hollywood restaurant. He struggled to get the much-needed break. He was even contemplating to quit his acting career, which was yet to take off. In 2004, Casting Director Mara Casey was the first to get Rami Malek his first break in ‘Gilmore Girls’. In 2005, he was seen in two episodes of ‘Over There’, Steven Bochco’s war drama. He did an episode of ‘Medium’ and played Kenny in the comedy series ‘The War at Home’. In 2006, Malek got the big break as Pharaoh Ahkmenrah in the comedy movie ‘Night at the Museum’. He was also seen in the sequels ‘Night at the Museum: Battle of the Smithsonian’ in 2009 and ‘Night at the Museum: Secret of the Tomb’ in 2014. Malek was also seen on the stage in Keith Bunin’s ‘The Credeaux Canvas’ in Los Angeles. In 2010, he was back on the television in the Fox Series ‘24’ as the suicide bomber Marcos Al-Zacar. The character became popular. However, he was fed up of offers, which were coming his way to play similar roles. Malek instructed his agent to reject all such roles. Rami Malek’s performance received critical acclaim portraying Corporal Merriell “Snafu’ Shelton in ‘The Pacific’, the Emmy Award-winning HBO World War II mini-series. During the shooting, Malek met Producer Tom Hanks, who was impressed with his performance. He repeated him in ‘Larry Crowne’ in 2011. Malek played a college student in the film. These roles got him supporting roles in various major films. He was seen in ‘The Twilight Saga: Breaking Dawn – Part 2’, ‘Short Term 12’, South Korean film ‘Oldboy’ and ‘Da Sweet Blood of Jesus’. Malek was seen in minor roles in ‘Battleship’, ‘The Master’ and ‘Ain’t them Bodies Saints’. In 2015, Malek was seen in TV writer Sam Esmail’s psychological drama ‘Mr. Robot’. His portrayal of a mentally unstable computer hacker named Elliot Alderson became a breakthrough performance. Rami Malek was critically acclaimed for his magnetic performance, which brought immense popularity among filmmakers. Malek was chosen among 100 plus actors were auditioned for the role. It was his big moment to relish. Rami Malek was nominated for the Dorian Award, Satellite Award, Golden Globe Award and Screen Actors Guild Award. He went on to win the Critics' Choice Television Award for ‘Best Actor’ in a Drama Series and Primetime Emmy Award for ‘Outstanding Lead Actor’ in a Drama Series. Malek became the first non-white actor to win an Emmy for that category since 1998. In 2016, he got the biggest break to play the lead in Sarah Adina Smith directed film ‘Buster’s Mal Heart’. The film was premiered at the Toronto International Film Festival. The film received rave reviews. Sarah Adina Smith had cast Malek before his Mr. Robots’ success. Malek played Louis Dega in ‘Papillon’ along with co-star Charlie Hunnam. The film premiered at the 2017 Toronto International Film Festival and was released in August 2018. After his huge success ‘Bohemian Rhapsody’, Malek is currently working on his favorite project, which he is writing, producing and directing. He will be also producing and starring in an eight-episode thriller podcast ‘Blackout’.